A cidade histórica de Nápoles, as antigas ruínas romanas de Pompéia e a Costa Amalfitana são Patrimônios Mundiais da UNESCO e alguns dos destinos mais populares da Itália. Visite os três nesta excursão de 5 dias saindo de Roma, incluindo uma visita a Sorrento e um cruzeiro para a Ilha de Capri. 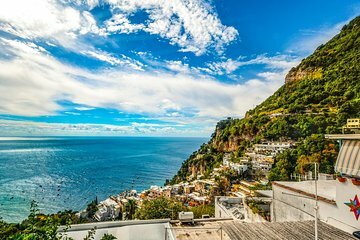 Ao longo do caminho, hospede-se em hotéis de 3 ou 4 estrelas, experimente a deliciosa culinária italiana e aproveite o tempo livre para passear e fazer compras de suvenires. The tour beyond the activities of the first day were very disorganized. After those we expected to be bused to the next stop on our tour, Sorrento. Instead we weren't listed to accompany the tour group going to Sorrento. Given that we didn't have international calling on our trip we had to force that day's Tour leader out of Rome to call the tour company and verify our accommodations and coordinate transportation to Sorrento. After an uncomfortable 30-45 min we were eventually given a taxi ride from Pompeii to Sorrento with little indication as to which hotel we would be staying at it wasn't one of the hotels listed on the travel itinerary. The bad start to the trip was only compounded in the remaining days of the trip by day of notices of our updated travel itinerary provided by paper at the hotels we were staying. Travel between cities was similarly conducted through taxi's between Sorrento, Amalfi, and Napoli we were given train tickets to take us back to Rome. All that said, the places visited were extremely beautiful and the food was amazing. tldr The tour company was disorganized and lacked a tour leader throughout the duration of the trip. We only received day of updates to our accommodations and travel arrangements through our various hotels.